Washington Montessori School will hold its seventh annual Polar Plunge for Partnership Dec. 2 at 11 a.m. at Lake Waramaug State Park Beach. A fundraiser for the Washington Montessori School Community Partnership Program, the Polar Plunge for Partnership is a fun, family-friendly event open to the public. Individuals ages 6 and older are invited to participate. To register and for more information, visit www.takethepolarplunge.com. 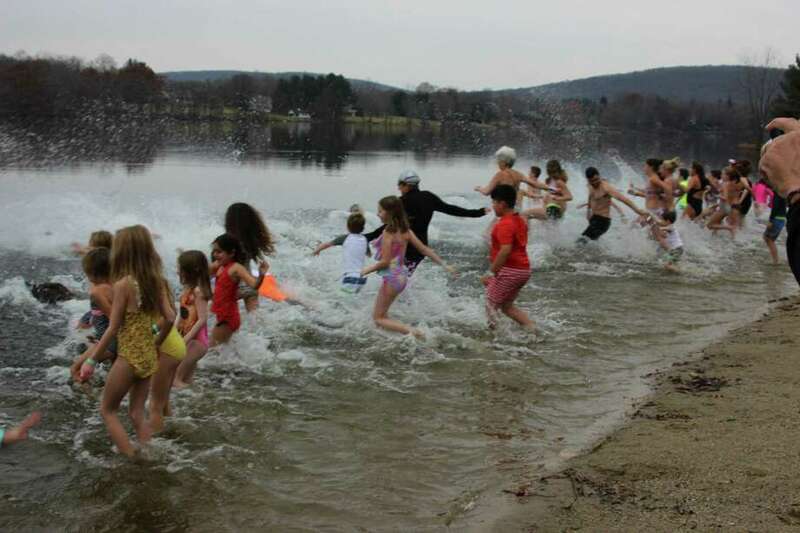 Washington Montessori School will hold its seventh annual Polar Plunge for Partnership Dec. 2 at 11 a.m. at Lake Waramaug State Park Beach. Individuals ages 6 and older are invited to participate. All participants will receive a commemorative T-shirt, complimentary snacks at the event and ultimate bragging rights. The WMSCCP provides middle school education to six graduates from the Children’s Community School (CCS) in Waterbury each year. The children who come to WMS have been identified as potential academic and social leaders within Waterbury, but come from homes with limited financial resources. The program has been in place since 2005 with both support and enthusiasm from the faculty and Board of Trustees at WMS. All proceeds from the Polar Plunge for Partnership go toward the cost of educating WMSCPP students. This includes tuition, transportation to and from school, and expenses for materials and activities. In conjunction with this program, a group of volunteers from the Washington area comes to WMS to support these students academically. The Polar Plunge for Partnership is presented by Washington Montessori School and a friend of WMSCPP. Other sponsors are Karpas Strategies, the WMS Middle School, Western Connecticut Health Network, Clan Dunbar, Allumé Health Care, B & D Controlled Air Corp, Byrde + the b, Compass Capital Management, Dobson Pools, Dental Design Studio, Forman School, The Hopkins Inn, Kent School, Lakeville Interiors, Newcastle Homes, Preferred Building Maintenance and Union Savings Bank. To register and for more information, visit www.takethepolarplunge.com.